The seasons are a changing, hopefully at least, and with that means getting ready for much more outdoor play and adventure. 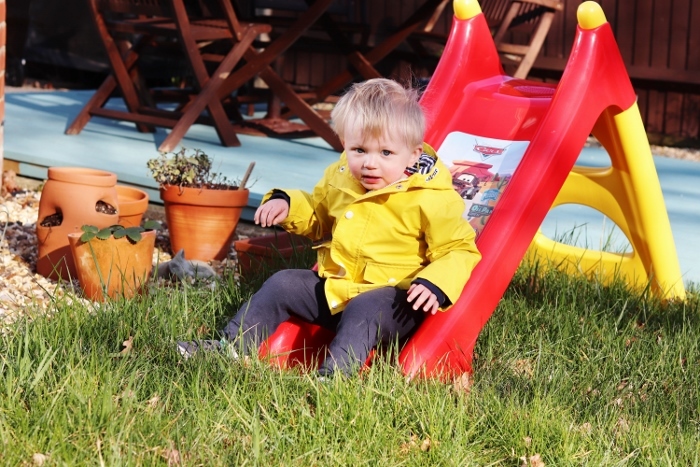 We’ve always loved getting outside, and with our garden almost completely renovated now (we just have some wood chippings to put down, and a tidy of the flower beds) – you can see some of the original garden in this post. 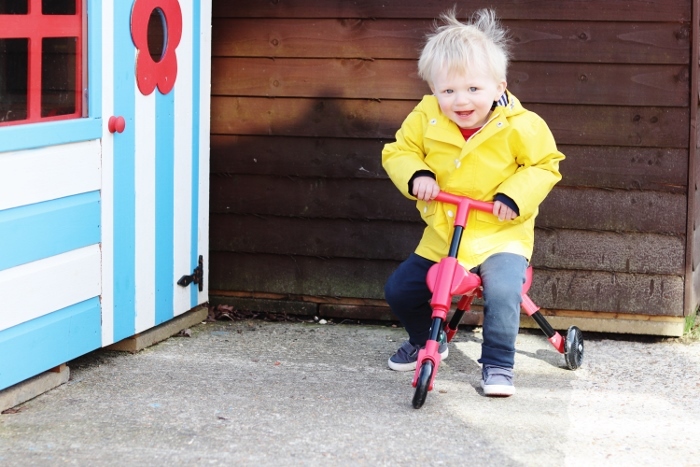 Alongside our Wendy house which we put up over the summer courtesy of Dann’s parents, and hand painted by me, we wanted to add a few extra toys and outdoor play things for Henry and Baby Boy to play with. We have a sand and water table, and plans for a mud kitchen to be built this summer. 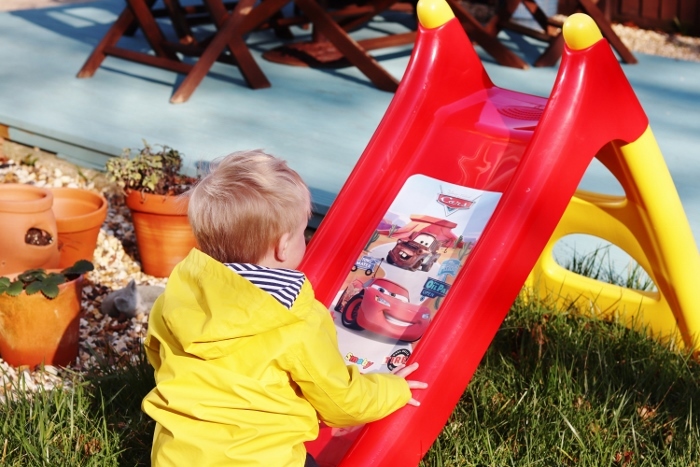 Thanks to Debenhams* we’ve also added a Disney Cars slide and a Disney Cars Scuttlebug to our garden collection, perfect for our energetic toddler. 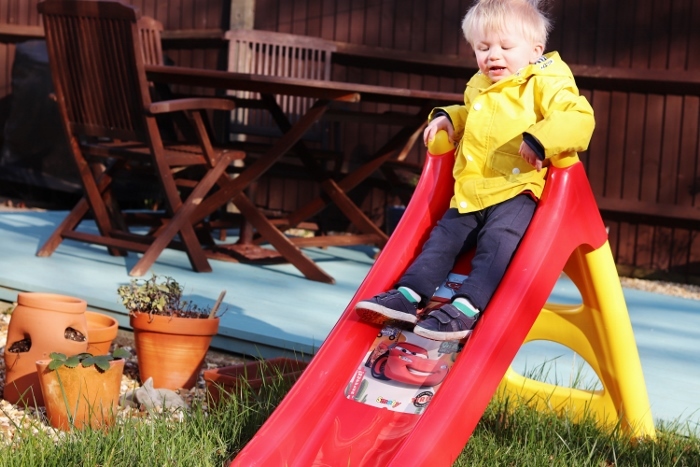 The slide is the perfect size for a toddler and is easy to climb, and easy to clean when muddy wellies slide their way down to the grass. 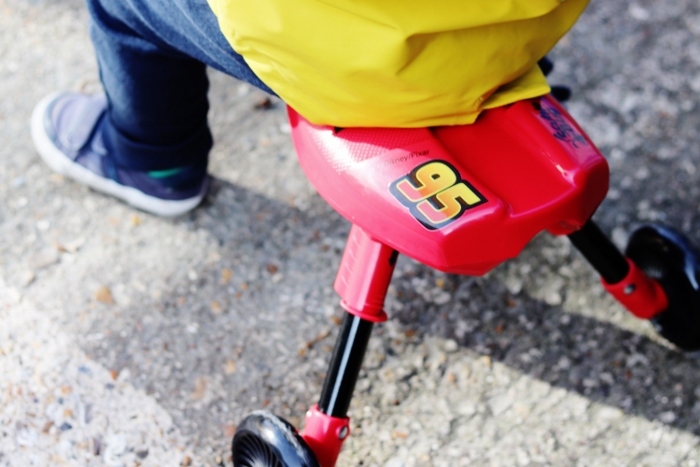 The scuttlebug is aimed at one year old’s as an early trainer. I have to admit Henry is completely obsessed with it and will happily scoot around for an hour. It also folds down really compact so is going to be great for taking with us on trips and holidays too as it literally takes up no space. Plus they’re so helpful for keeping Henry entertained when I need a few minutes peace, and as an outdoors lover he is completely in his element. For the quiet times we also have the Disney Cars Magnetic Scribbler. 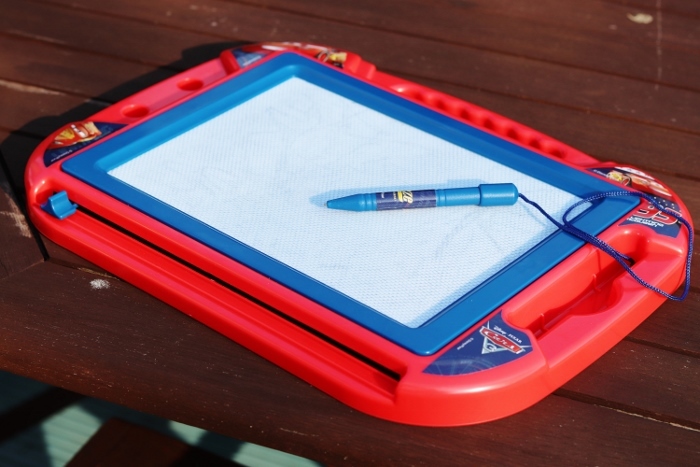 Aimed at 3+ it’s still really great for little ones – just take away the stencil – and it’s definitely coming with us for road trips. I’m looking forward to dragging out our picnic blanket, parasol and the scribbler for some quiet time in the sunshine with Henry and the baby. Next up, is getting Dann to build the mud kitchen (hint, hint) and maybe put together a few pots with plants for Henry to look after – I’m definitely feeling sunflowers by the Wendy House. And we need a compost bin to keep up with our garden waste recycling. What else do we need for our toddler garden? *gift card provided to purchase items for review as part of a collaboration with Debenhams. All opinions, as always, are my own. TATTOOS: Do you regret your tattoos? "Are kids really that expensive?" I need to start getting the garden sorted for spring too. I love the slide.